Criminal defence is a large component of the legal aid spending bill and according to the Department of Justice accounts for over £1 billion spending per year. The cuts and changes to legal aid for criminal cases include the introduction of a new system of price competition, whereby legal aid providers would compete on tendered contracts on the basis of price. But there are concerns that this system will work solely on the basis of price and therefore could compromise the quality of legal aid. The Ministry of Justice is also eager to find measures to deter criminals from misrepresenting their financial assets in order to qualify for means-tested legal aid. One of these measures is to make defendants meet the entire expense of their legal aid if found to be cheating the means-tested system or upon refusal to be means tested. Also, from July 2013, defendants who are found guilty can have their car sold off in order to pay their legal aid expenses. 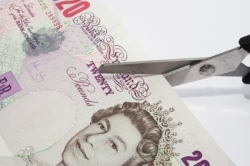 Legal aid cuts have also been announced for civil cases in England and Wales, and the cuts have raised serious concerns about how they could impact the most vulnerable and needy members of society. Legal aid cuts for civil cases will affect a wide range of important civil cases such as employment, clinical negligence, and family and marital cases as well as housing and social welfare debt. As per the announced cuts, a large proportion of people who need help with cases involving these issues will no longer be eligible to receive legal aid. According to the Ministry of Justice, those who are in most need will still receive legal aid, but this includes only cases involving domestic abuse, forced marriage or housing cases where foreclosures are imminent. This means that a vast majority of people will end up either having to seek paid private legal help, find a charity willing to help or ultimately fight their own legal battles. Lord Neuberger, the UK’s most senior judge, has expressed serious concerns about the cuts and how they are likely to affect those in need of help. He has also expressed doubts about whether the changes will really help save money or, in fact, end up costing more in the long term – by way of expenses for judges and court staff having to help litigants in person. Lord Neuberger also stated that not giving people legal representation and advice could ultimately undermine the rule of law and force people to take the law into their own hands. The cuts will leave thousands of people with no other option than to try to pay for legal advice in a range of civil cases or to try to represent themselves. More people representing themselves in court are likely to increase the length of court hearings as well as the workload for court staff. There is a growing consensus that more civil cases can be solved by mediation and extra-legal means than are currently. But in a time when issues such as social welfare debt and housing disputes are more relevant than ever, sweeping cuts like these may end up saving money in the short term but causing irreparable damage to our legal justice system in the long term.